Renée joined the Compass Team in June 2018, after 16 years with Coldwell Banker. Renée carries the distinction of being a top producer in the San Francisco residential real estate industry, selling over 250 homes and roughly $280M in sales. 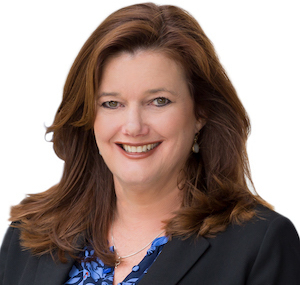 Renée is committed to serving every client, every step of the way, and does so with integrity, discretion, careful research, and results-oriented energy. Renée has proven adept at exceeding client’s expectations and specializes in selling properties that not only provide beautiful homes to live in but deliver strong investment returns. Renée has developed strong relationships with other agents and many industry experts who help make the home buying and selling process easier, including lenders, stagers, haulers, and contractors. From 2011 - 2017, she partnered with another top producer, James Maxwell, who now sells in LA. Renée moved to San Francisco in 1990, and has lived in many neighborhoods, enjoying all the beauty and diversity The City has to offer. She now lives in Bernal Glen (between Glen Park & Bernal Heights), and is a proud mother of an amazing boy, Max, who attends Glen Park School. She is an active parent with the PTO, an avid supporter of the SF public school system as well as the community. Renée enjoys watching AAU basketball, biking, snowboarding and spending time at her Truckee getaway. Renée grew up in a small town, Portola, CA (north of Truckee), graduated at CSU, Chico, and moved to San Francisco, where she began her 10-year advertising career. While working at FCB, she obtained an MBA in Marketing at SFSU. If you’re thinking of making a move, give Renée a call! She’ll give you helpful market information to enable you to make the best decisions.